DesignEvo is a web-based tool that tailored to logo designs. 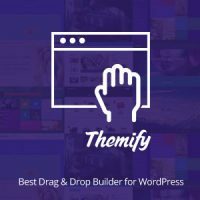 Trusted by 74,301+ customers, Themify themes & plugins help you create beautifully responsive WordPress sites, faster and easier than ever before. eSign+ is the most reliable E-Signature platform that allows you to fast, easily and securely sign your documents with only 3 steps. Google Release their “Search Quality Ratings” Guidelines!